Should there be a Rogue Tenants register? Should the lettings industry fight back? The news this week that even individual private landlords must join a redress scheme is just the latest in an onslaught of laws and regulations aimed at tightening up the private rental sector. We all welcome better housing conditions and more responsible letting agents and landlords but is the balance now completely unfair? Are agents and property investors just the whipping boys for a government hell-bent on making it increasingly difficult for individuals to operate buy to let? Most of all, is it time to redress the balance by instigating a register of rogue tenants - are they as big a problem as the rogue agents and landlords that the government speaks about? We’ve asked a panel of lettings industry experts for their views - and they don’t pull their punches. These are the big issues confronting the industry today: we hope you will add your views below. The introduction of a rogue tenant database could bring a wealth of benefits for landlords, tenants and agents alike, providing a means of protecting all parties from common problems such as subletting, rent arrears or refusal to vacate a property. There are a number of tenants out there – particularly in London – who sublet properties repeatedly. In many cases, such tenants not only sublet, but often fail to pay their rent and fall into arrears, which can prove costly for landlords. Such instances should be reported onto a database to curtail ongoing offences – and to deter offenders. Tenants who refuse to vacate a property when served notice, and specifically in cases where a Section 21 notice has been served correctly and the tenant is in breach, should also be recorded on such a register. Local councils would be best placed to run a rogue tenant database; however, they would require access to associated court rulings in order to operate this effectively. Should such a register ever come to fruition, the intention should not be to enforce further regulations, but to ensure that the law effectively protects good tenants, honest landlords and reputable agents. 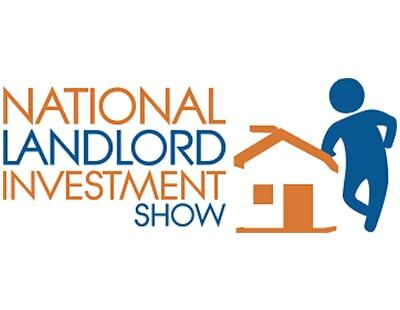 NALS wants to see a safe and secure Private Rented Sector for all - tenants, letting agents and landlords. We're not in favour of blacklisting tenants on a database. We think it's much more important to encourage responsible behaviour and ensure tenants are aware of their rights, but also their responsibilities. This guidance is what a professional agent can provide. Rather than a bad tenant database, we'd like to see more widespread use of rental payment history schemes and the use of external referencing companies. A rogue tenant database might seem like a logical next move for the industry – after all, there are already databases covering rogue landlords and agents. But is there a real need for one covering tenants too? Currently, bad tenants are likely to have a poor credit record if there is a Section 8 eviction and money judgment against them, making it easy to identify bad tenants on that score. Another concern with a tenant database is that it becomes another industry knowledge base to maintain, and another potential check to pay for when vetting a prospective tenant. What’s included in such a database and who maintains it is another question that must first be resolved. With the rogue landlord and agent database, only those who have been successfully prosecuted end up on the database. So, if a tenant equivalent is to be created, it would need to be along the same lines. If a rogue database was to go ahead, it would also need to include all evictions undertaken through Section 8, including anti-social behaviour or property damage, otherwise it would just be a repeat of the money judgments already available through a credit check. Creating a rogue tenant database could potentially make landlords and agents look like bullies, but it depends on how it is structured and the benefit to tenants. Similar to letting agents and landlords, most tenants are good and law-abiding citizens and won’t be negatively affected. However, there could be benefit for them: If a rogue tenant database can help reduce the tenant referencing costs borne by landlords, and therefore the rent paid by law-abiding tenants, it could be a good thing for the industry. Martin & Co built its own tenant referencing solution a few years ago, so we know a bit about the subject. The crux of the problem is that it is not financially rewarding for agents and their landlord clients to pursue tenants who have defaulted or caused damage to the extent of obtaining a court order against them. It takes time, involves cost, has uncertain outcomes and the courts impose derisory payment plans which are themselves often unenforceable in reality. Therefore, lots of badly-behaved tenants do not have a CCJ against their name, and unless you trace their every previous rental address and get an honest reference you won’t discover their misdemeanours. The most common applicant fraud is to ‘miss off’ a previous address where bad credit is recorded. So, it’s really important that your referencing company links all of the associated addresses and not just the ones that the applicant has declared. The challenge is, if there is not a formal record, how can you justify making a decline decision based on a ‘secret’ register of alleged misdemeanours? Currently the only way to determine whether tenants have previously caused significant costs for letting agents or landlords is through running a credit check and looking out for any CCJs. We’ve had experience of landlords choosing the quicker route of Section 21 in order to gain repossession of their property, and then not going on to pursue tenants for recoupment of unpaid rent. A rogue tenant database would hugely eliminate this risk. I would even suggest going one step further and naming the local authorities or departments who encourage tenants to occupy a property until the bailiff stage as they are in part responsible and seen to condone these rogue practices. There are many factors to consider for when a tenant should be included on the database. These include rent arrears, subletting without permission, which can put the landlord at risk of breaching statutory obligations by overcrowding, making fraudulent claims for benefits, significant property damage and bailiff accompanied eviction. There would need to be a panel made up of industry representatives to provide views for all parties in the process, such as tenants, landlords, agents, and representatives from the deposit scheme, referencing, insurance, and legal, as well as a government minister. Part of the planning would require diligence in GDPR and exploration of rights to process and store data in this way. Access to such a database would also need to be considered, with measures to police this and licenses granted to permit access determining exactly who, how and when access may be provided. If the database was properly managed, it would provide a more balanced view on what is actually going on in the PRS. It would also be beneficial for it to include more detailed information on how local authorities deal with non-paying tenants, which in return would highlight the actual costs incurred by private landlords. The government would then be forced to consider how best to deal with these evidenced issues in the private rental sector. Poll: Should there be a register of Rogue Tenants? Good idea but will get zero support from government or council as it’s not going to win any generation rent votes like landlords and agents bashing does ! “Should the lettings industry fight back?” There you go in one word; fight. If there is a problem with rogue landlords, rogue agents or rogue tenants, then take proportionate and effective measures to deal. Sure, landlords and agents have been battered lately, often but not always for good reason. Yes, landlords will exit because letting ain’t what it was and that’s bad for tenants too, as curtailed supply drives up rents. But can we get over the idea that this is a fight? How, exactly, does that kind of attitude/rheotoric make us look responsible and customer focussed in the eyes of our customers and government? Who are we fighting anyway? Tenants, aka customers? Government? Think aggressive rhetoric about implausible schemes will win us respect from either? Or just a kicking from ministers sick of getting PRS complaints in their mailbag? Show me a thriving industry that regards its relationship with customers and government as a fight. expectations are changing fast. Nobody gives a toss about our business model except us. Proclaiming we are in a fight with our customers and government immediately identifies us as wingeing self-serving protectionists. Which customer or government is going to support that? It’s not a fight. Our world is changing. Deal with it. I can accept your reasoning that this isn't a fight against Tenants, and you are right that it is possibly not the best choice of words. However we, Landlords and Agents, are under attack from the Government, who are being aimed at us by those with a vested interest in destabilising the market and increasing the reason for them to exist. I think the time is coming when we do need to dig our heels in, stop cowering under the blows and stand up for ourselves, as a whole industry. Quite how we will do that when we all agree that there are some truly despicable practices being committed by some Agents with less morals than an alley-cat, I don't know. Maybe some form of registration or legally required accreditation would help, I'm not sure. At least if we can band together and face this bullying behaviour united, with one voice, we stand a chance. I can only assume that Isobel Thompson is not a landlord, or if she is she has never had a tenant from hell. "We think it's much more important to encourage responsible behaviour and ensure tenants are aware of their rights, but also their responsibilities." Isobel, with some of them you can tell them until you're blue in the face but it won't make a scrap of difference. It's these people that need to be recorded on a database! Of Course, There should be parity between any parties, but that's gone totally out of the window, for the reasons James B said. The Govt dare not help Landlords identify the worse tenants, - because then they would fall to the Local Authority ( read, Local Government ) to pick up the bill for Accommodating them for free. Better from L.A & Govt perspective to let them ming mong around from one private landlord to another. ! unfortunately. I've been an Agent for many years and also a landlord for a few years. We manage 200 properties and fortunately achieve between 95-97% of rents each month. This obviously means nothing if a landlord is not getting rent ie. suffering 100%. So you could say that good practice and tenant checking is key. However, good tenants can go bad and when they do, it hurts !!! The end result then tends to be that they get evicted owing rent which usually amounts to 3-4 months in total. The Tenant, Agent and Landlord relationship has well and truly broken down at this point. So, why should these 'good gone bad' tenants be able to simply walk away and move on to another property with a clean slate. Not all landlords/agents have any energy left in them at this stage to try and get a CJJ against the tenant for no return and also being further out of pocket. As said in many other comments, landlords and agents are constantly getting a bashing, lets get the bad tenants on the same bus !!! Maybe if there was a scheme to threaten tenants with, just maybe we may resolve issues better quicker and less costly for all parties. Unbelievable, letting agents have been getting a bashing because it's your own fault. Your rip off charges and total incapability to change your ways has brought this all on your own heads. And do you eat humble pie and say you'll try to do better. No, you winge and moan and bleat on about "rogue" tenants. You charge as much as 30 times the actual cost to do a credit score and reference, but still are unable to spot these "rogue" tenants. This is evidence in itself you have been charging money for old rope for the last three decades. No one, not one person who is not in your industry has any sympathy for you. Not one. Good luck trying to get your register, more chance of Mrs May getting her Brexit bill through Parliament. Liking your own comments. Tsk Tsk. how can tenants even think that they get service rendered by letting agents for free or for pennies is beyond me. if you dont like the charges, dont go to the letting agents. its common sense, do it yourself! no point blabbing about charges when you want the service provided. There are plenty of fish around for you to go shopping around. We went through all this about fifty years ago. Back then tenants were given almost total control of the property and the rent. It was a total, unmitigated disaster. There is no exaggeration whatsoever in the statement. Letting became unobtainable. Vacant properties were put up for sale. They never sold because buyers could not get mortgages simply because the properties were useless as collateral. They were only really of use for short term lettings. This, "Dead Lock" was only broken when section 21s came about and normality quickly resumed. In all common sense we need to force councils to get out of trying to control property lettings. Most of them can barely run a council let alone control a vast lettings industry which is somebody else's industry anyway. They have enough laws to sort out inhumane letting. They don't need to control the finances as well. If you are letting agent you really need to be thinking about winding up your business now while you are in profit (I hope). You may have another angle to earn money but property management will not be it. All those fifty years ago agents were sitting in their offices looking like terrified dogs in desperation and giving the occasional buyer (mine & myself, newly married) bundles of twenty or thirty flyers of completely useless to us, properties. It really was bad. Now days of course we have the internet but I can not see the basic situation in a years time being any different to back then. I am expecting to sell my properties soon. They won't be at a loss but but not at a worthwhile profit either. I am already ending rolling tenancies in preparation.